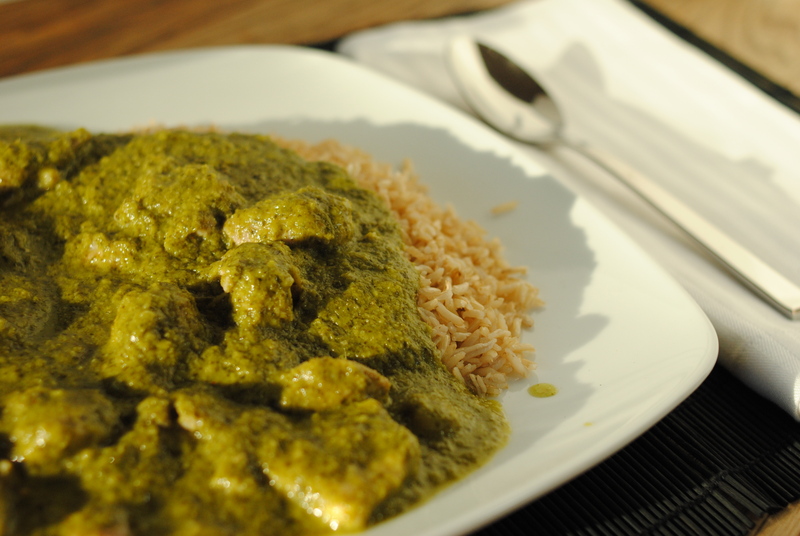 I have been missing curries again, and one of my favorites is Green Curry Chicken. Unfortunately, it’s usually made with coconut milk, so I can’t eat it. You can use regular milk or cream in this recipe if you prefer the dairy, but it isn’t necessary. As is, this low-amine Green Curry Chicken was delicious. The avocado lends a wonderful creaminess to it that makes up for the fats missing by removing the coconut milk. In a bowl, add chicken pieces, garlic powder, 1/2 tsp salt, and garlic powder. Mix until evenly coated. Heat large pan to medium high and add oil. When oil is hot, add chicken. Allow to brown, then flip pieces over to brown other side. Cook for about 5 minutes, stirring often (don’t burn your chicken! ), or until just barely done. Pour chicken into a clean bowl and set aside. In a food processor, add all other ingredients except rice milk. Blend until very smooth. 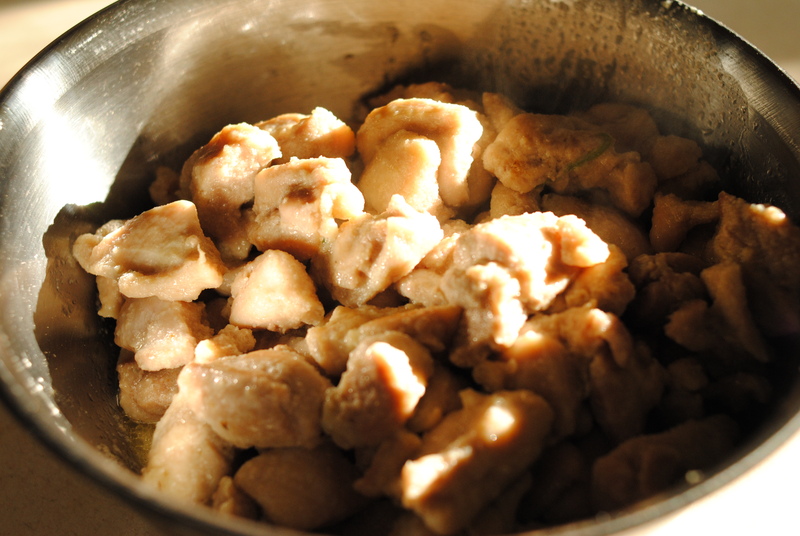 Pour puree into a pan and add rice milk and any cooking liquid left in the bowl of cooked chicken. Turn heat to medium until it starts to boil and reduce to a low simmer. Cook sauce for about 5 minutes, stirring frequently. Add chicken back in until both sauce and chicken are fully heated through. Garnish with cilantro or a sprinkle of cayenne pepper, if desired.